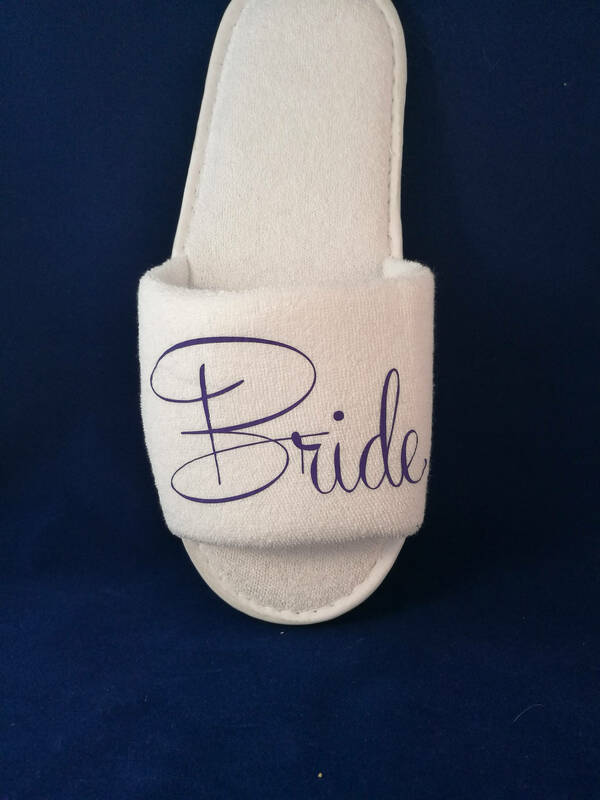 Beautiful white open or closed toe slippers. 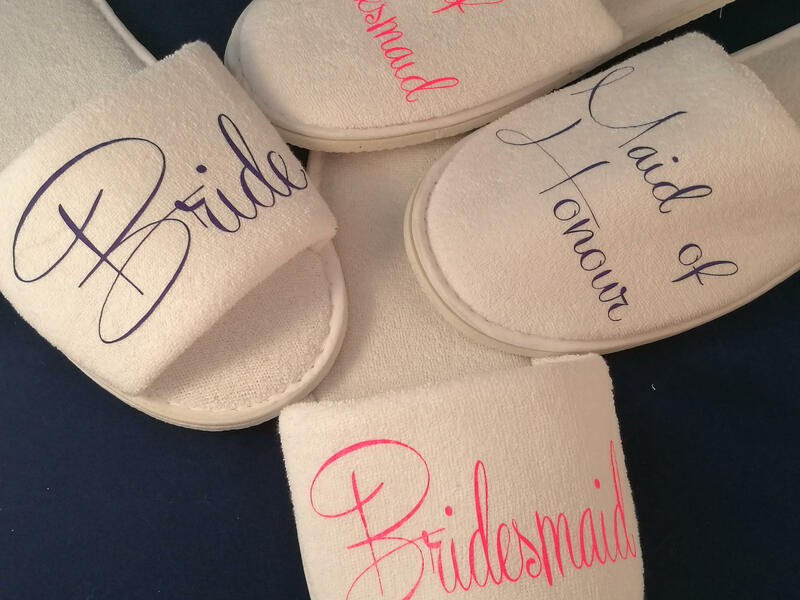 Ideal for bridal party, hen weekend, spa days and stag do’s. 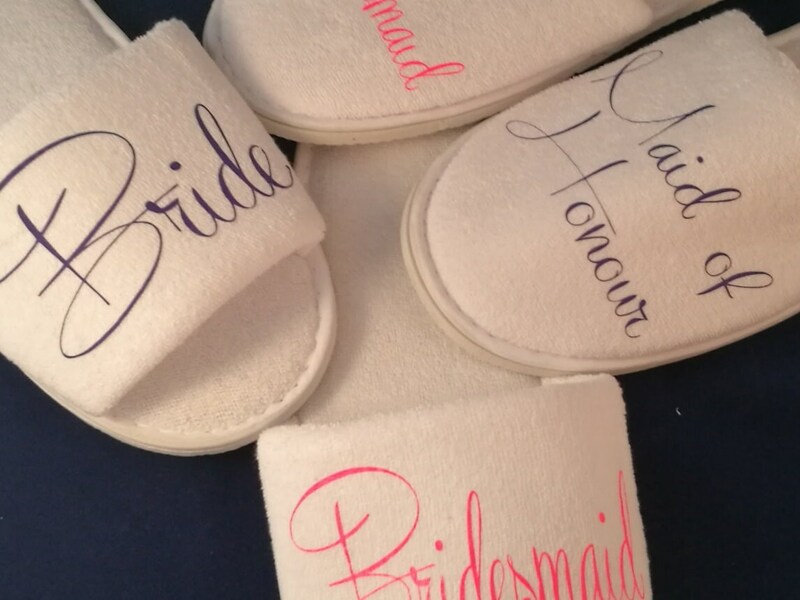 These are personalised, by hand in my workshop with specially cut Heat Vinyl. 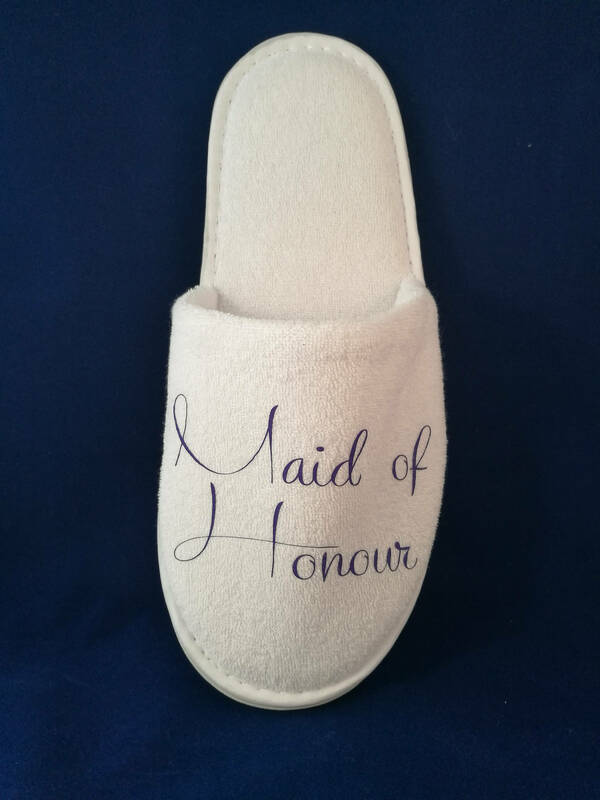 I design and cut all the Vinyl myself so if you require none tradition wording or would like the slippers for another occasion we can make them for you. 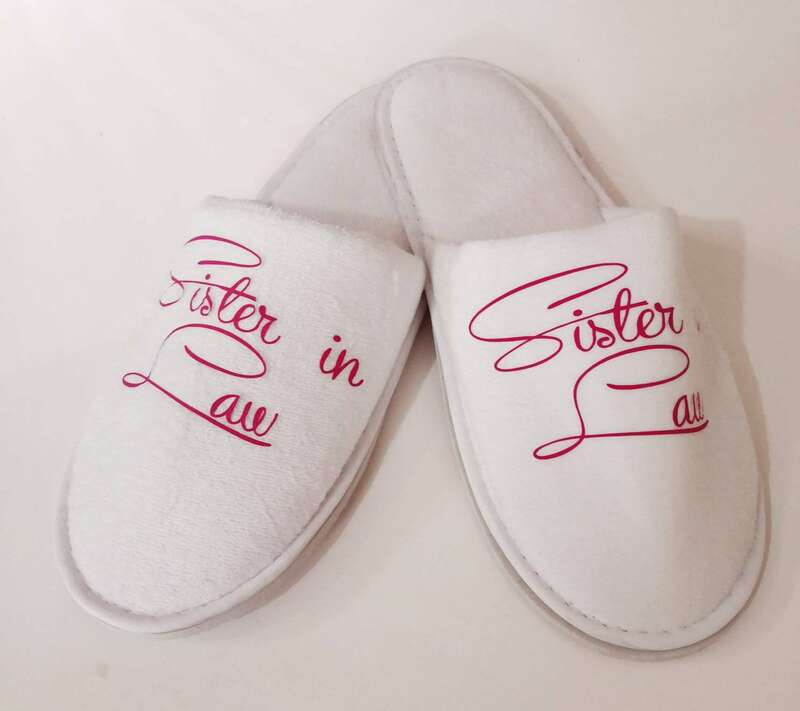 The slippers are one size fits all (UK size 4-8) please note the smaller size you are the bigger the slippers will be and the larger size the tighter they are, I am a large UK size 8 and have no problem wearing these. We offer a wide range of colour vinyl’s in normal and glitter. 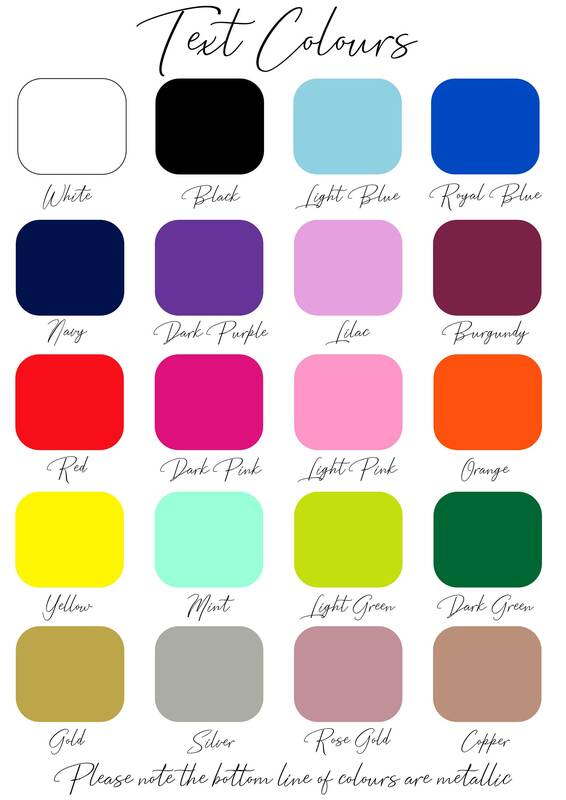 I have listed a selection bellow if you do not see the colour you require please send me a message as there is hundreds of different colours available from our suppliers. 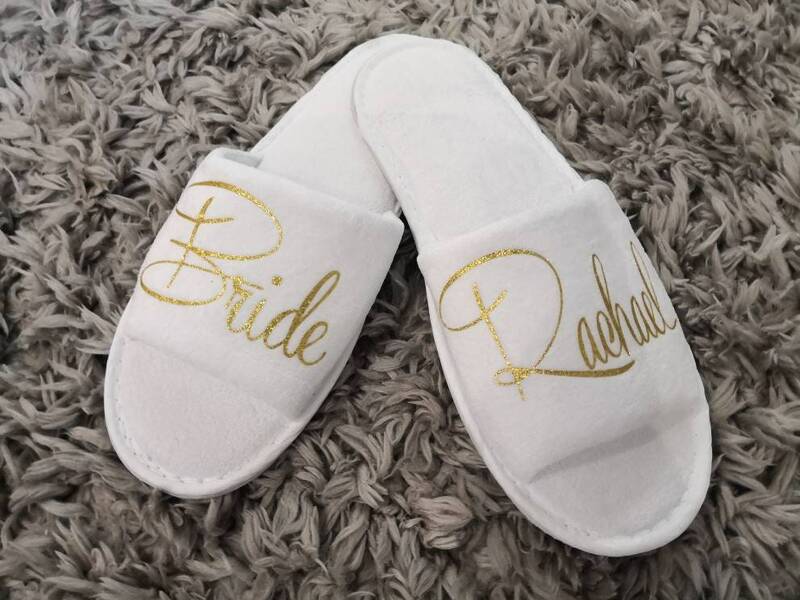 1.Select the style of slipper you would like. 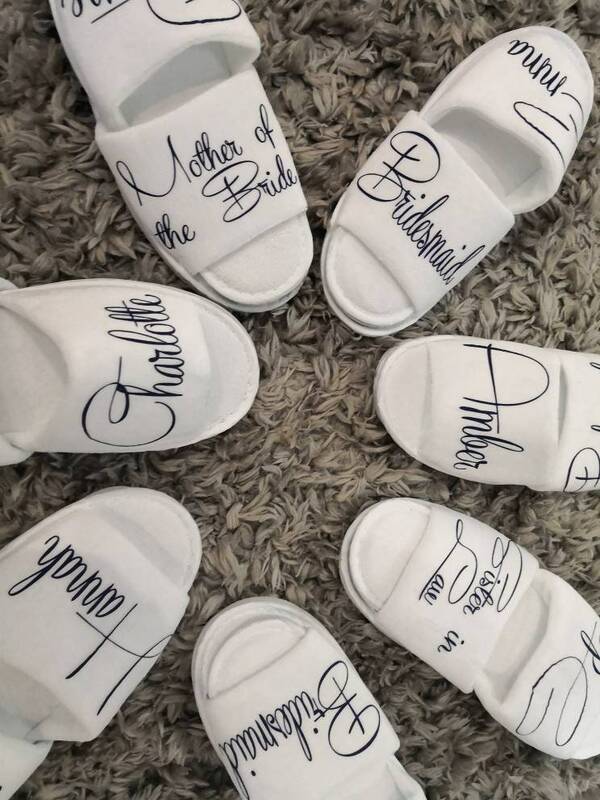 These slippers are perfect presents for my bridesmaids! 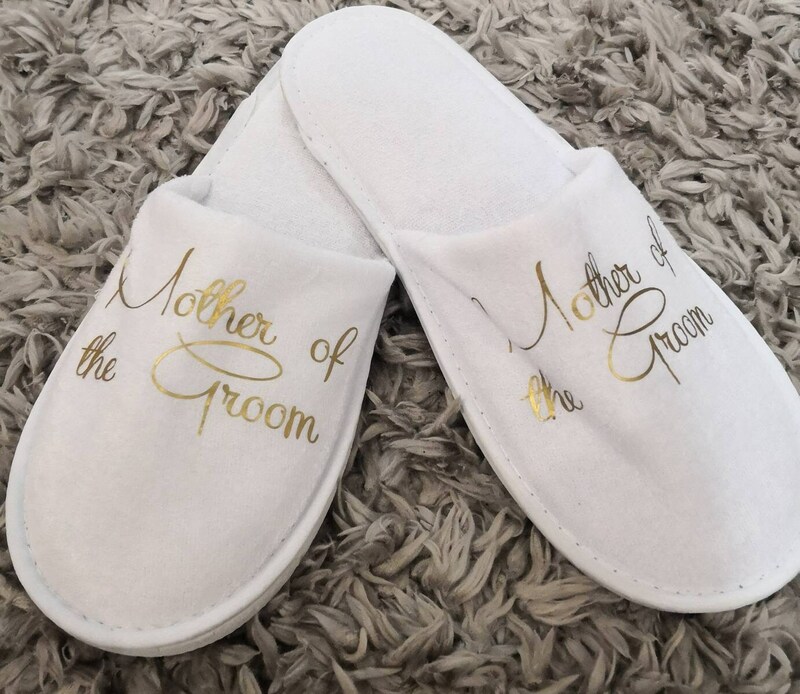 They will be perfect for when we are getting ready!